There's a cold wind blowing on the hopes of wind-energy advocates in Western North Carolina, thanks to a pending bill in the N.C. General Assembly. As early as May 12, state legislators will take up Senate Bill 1068 when they reconvene in the short session. The bill — which would establish a regulatory system for wind-energy farms — has stirred fierce debate between advocates and opponents of wind energy in the mountains of North Carolina, partly because of a controversial part of the bill that amends the 1983 ridge law to allow windmills only if they power a single residence. In its initial form, Senate Bill 1068 was widely accepted as a comprehensive and robust piece of legislation designed to create a permitting process for wind farms in North Carolina. It underwent significant changes in committee, and after much debate and political pressure from Western North Carolina Democrats Sens. Martin Nesbitt, John Snow and Joe Sam Queen, the augmented bill passed the state Senate in the final days of the 2009 session. For some, the idea of a series of massive turbines silhouetted against the horizon is the epitome of green energy overstepping its purpose. But others argue that the alternative to wind energy is the continued reliance upon mountaintop-removal coal, of which North Carolina is the No. 1 consumer. Austin Hall, a wind-energy advocate and organizer for the nonprofit Appalachian Voices, tells Xpress, "We, as North Carolinians, have a moral imperative to develop our own resources. "Our neighbors … in West Virginia are suffering unbelievable circumstances because of our energy consumption," Hall continues. "It's just very hard for me to hear the issue of the viewshed argument when I have seen a 10,000-acre strip mine, and I've seen valleys filled in with mining waste, and I've seen poisoned well water, and damage from blasting at people's homes, and kids who are sick from drinking poisoned water. … By banning wind energy, we're effectively saying, 'It's OK to destroy the mountains of West Virginia, just don't put a windmill on top of mine.'" But for Cynthia Wadsworth — founder of the Mountain Ridge Protection Act Alliance — the possible encroachment of industry into her beloved mountains is problematic at best. Commercial wind-development causes significant damage in environmentally sensitive places — a side effect that may not be worth the energy produced, she says. "It's not uncommon for [contractors] to blast through the topographical features on mountain ridges to provide a clear, level place for the turbines," Wadsworth says. "Clearing wide access corridors — 50 to 100 feet wide — for miles along the crests of forested mountain ridges is necessary for the cranes and trucks needed to erect these 40-story, wind skyscrapers … The concrete base needed to support just one of these massive structures may require 20 truckloads of cement. Substations and miles of transmission lines are also necessary. The resulting forest fragmentation has a negative effect on many animal species. Does this sound green?" But Hall counters that by carefully locating turbines — "those places that we consider to be off-limits to wind-energy development: places like public land, fragile ecosystems, spruce forests, and [other] environmentally sensitive areas" — it's possible to develop about 750 megawatts of wind-energy potential. That's nearly equal to what the proposed addition to Duke Energy's Cliffside coal-fired plant in Rutherford County will produce, he explains. "Essentially, we could take the need for [that new] coal-fired power plant off the table if we developed just a fraction of our wind resource in the mountains of North Carolina," Hall argues. "We're not talking about putting wind turbines on the Blue Ridge Parkway, Grandfather Mountain or in the Great Smoky Mountains National Park. Nobody wants that," says Avram Friedman, executive director and co-founder of the Canary Coalition, a clean-air-advocacy organization in Western North Carolina. "But," Friedman continues, "there are dozens of appropriate ridge tops on privately owned lands and on multiple-use public lands that already have roads and power lines crossing nearby. Some are dotted with cell towers, television- and radio-broadcasting antennas. There is no reason not to use this safe, clean, relatively inexpensive energy technology in these locations, especially if it's part of the solution to replacing coal, which is devastating the mountain landscape, wildlife, vegetation and human health." But Tonya Bottomley, a supporter of the ridge law and founding member of Keepers of the Blue Ridge says the negative effects of wind energy far outweigh the positives. "There are many well-intentioned environmental groups that claim that commercial wind development will shut down coal plants and significantly reduce CO2 emissions. Where's the proof? With 100,000 wind turbines worldwide, there should be data to support those claims," Bottomley says in an e-mail response to Xpress. "The wind industry has powerful lobbyists in Washington, D.C., placing intense pressure on our politicians. … If [they] are successful, hundreds of thousands of massive turbines will dominate our landscapes while doing virtually nothing to solve the problems of fossil-fuel dependency," Bottomley writes. "The tax breaks and subsidies make wind very profitable. I support alternative energy, but we need to be rational. Let's not destroy the environment in an effort to save it." For politicians, it's a tough call. Rep. Cullie Tarleton of Blowing Rock says: "I believe wind energy has to be a part of our renewable-energy portfolio, but I also support the ridge law. [Those] are not mutually exclusive goals. There are many places in the west where community-scale turbines can be placed. "In addition, one of the things all of us as consumers must realize and do a better job of is conserving energy just as we should practice effective water conservation measures. We simply consume too much and we need to do a much better job of conserving." Until then, Hall, Friedman and other wind-energy advocates say allowing wind-energy projects in WNC is one way that we can begin to limit our reliance on coal, end mountaintop-removal mining, reduce CO2 emissions and, in the process, create jobs. "Most people in this part of the state want to see the rapid development of renewable resources and a phasing out of coal," Friedman says. "The future of our economy is in making homes, businesses and industry more energy efficient as we develop wind, solar, geothermal, ocean-wave and tidal technologies." Hall says more than 20 percent of our total energy could be generated from wind energy in the state. "Madison County is losing family farms rapidly," Hall points out. "We're losing land to other types of development when we could be keeping the land in the family, while responsibly developing a wind-energy resource and providing clean energy and conserving land." But for Bottomley and Wadsworth, the extensive environmental impact necessary for wind development on ridges does not justify the amount of energy wind turbines can produce. They argue the ridge law should continue to protect North Carolina's highest ridges from industrial development. The N.C. General Assembly will decide. For more information about Senate Bill 1068 and the Mountain Ridge Protection Act, see www.ncga.state.nc.us. Eric Crews is a freelance writer and video producer based in Western North Carolina. It’s frustrating to hear people like Tonya Bottomley with no expertise in any energy-related field saying that the enormous worldwide investments in wind power are not displacing coal and other conventional energy sources. Of course they are! That’s why they’re being built and millions of people across the world are working to build and site more! But rather than look at scientifically valid analysis, the so-called “Keepers of the Blue Ridge” insist on using thoroughly debunked analyses from right-wing think tanks to mislead people into believing that wind power doesn’t work. These people have no expertise in electricity generation and I hope readers will seek credible information (and use common sense) before believing their claims. As a physicist (energy expert, LONGTIME environmental advocate, and NC resident, I say that citizens should understand the reality here. Too much of this isssue has been influenced by lobbyists. Wind energy is not free, clean or green. It’s frustrating to hear people like Matt Wasson with no expertise in any energy related field undertake ad hominem attacks on people asking legitimate questions about the cost and benefits of ridgeline wind energy development. A few years ago a National Research Council committee examined the Environmental Impacts of Wind Energy Projects with an emphasis on the Appalachian highlands. One of the committee’s findings was that demand for electricity will continue to increase, and wind power will provide 3.5 to 19% of this increase by 2020; that is, 96.5 to 81% of new generation must be obtained from other sources. Thus, wind power development will achieve no actual “reduction” in demand for electricity generation from other sources. This finding applied to the whole country. The results are even more dismal for the Appalachian region, where the wind resources is much less than in other areas. Appalachian wind energy development is not a solution; it’s a distructive distraction. Summary information about the report is available on VaWind.org. It is important to note that both Keepers of the Blue Ridge and Mountain Ridge Protection Act Alliance are members of a multi-state, multi- professional group called Allegheny Highlands Alliance (AHA). This is a non-partisan issue and these are non-partisan groups. To accuse them of working with right wing think tanks is ludicrous. Keepers and MRPAA have always worked to provide references for any information or facts they present, and I have never seen references from right wing think tanks. Matt Wasson and Appalachian Voices do not provide references or facts. They repeatedly blurt statements which they do not and will not back up with facts and references when requested. They have been requested to debate the professionals in these groups and they refuse. As an electrical engineer with 30+ years experience, the reality is wind energy has no capacity value and will never close any conventional power plants, including coal and nuclear plants. These plants will have to be in the background, always running, ready to step in when the wind stops blowing. The idea that wind energy will ever close conventional power plants is a fantasy and a delusion. The money spent and the damage done by placing wind turbines in the Appalachian Mountains in any state will continue to be acknowledged. It is my sincere hope that groups like Appalachian Voices and our government will be held accountable and be required to return the tax payer funds to the people that they have robbed. I’m disappointed with the personal attack. Mr. Wasson is the second individual from this group I’ve read recently and I’m beginning to wonder if it is SOP for the Appalachian Voices organization. My own experience is with Mr. Hall, mentioned in the article above, and consisted of his “drive-by” commentary at the Allegheny Treasures blog. I call it “drive-by” because after his suggestion that truth was lacking in our presentation, Mr. Hall was provided with a wide selection of information in hopes he would take the time to engage. He chose not to do so. At the same time, Mr. Hall was invited to engage in a debate with an individual who, as Mr. Wasson puts it, has “expertise in electricity generation,” but he chose no to accept that offer either. So, we fully understand Mr. Wasson’s feeling of frustration, but ours is with Appalachian Voices. It is certainly not my place to suggest, but perhaps the offer to engage on the science might be extended to Mr. Wasson as well, since Mr. Hall appears unable to do so. I did read Mr. Wasson’s counter to Robert Bryce’s “5 Myths” article at the Huffington Post and followed the link to the source information, as Mr. Wasson suggested. Realizing I have much to learn, I am open to opposing views. A debate of facts is helpful. Insults are counterproductive. I do hope the folks at Appalachian Voices feel the same. Although I must admit, that has not been my experience to date. If Matt Wasson has “scientifically valid analysis” showing that wind power is displacing coal and other conventional energy sources, I’d love to see it. Most people who have come to oppose wind power were not unsympathetic, were often supportive, when they began their researches to responsibly determine the impacts such industrial plants would have. But in time, it became clear that evidence of actual benefits was slim indeed. In fact, nonexistent. High costs and impacts, virtually no benefit — that doesn’t sound green to me. Well y’all sure are full of “ad hominem” attacks that lack facts for people who are accusing me of ad hominem attacks that lack facts. Yeesh! I apologize if Ms. Bottomley felt like that was an attack – it was certainly not my intent. But I’ll hand it to you that you’re well organized, which is something I can appreciate and admire – I sure wish y’all would turn that toward more pressing issues like mountaintop removal coal mining and the construction of new coal-fired power plants across our region. I can assure you that I, and Appalachian Voices as a whole, base our arguments on very well researched information – and we are very concerned about the possible encroachment of wind farms on public lands, spruce-fir forests, the Blue Ridge Parkway, Appalachian Trail and a number of other areas. We’re working hard to make sure such areas are protected from wind development and any other type of industrial or commercial development. But prohibiting even community scale wind development in the mountains, as Nesbitt’s bill would do, is just extreme and incredibly short-sighted. I encourage people to follow the link Rick Webb provided and read the NRC report, which undercuts almost every argument I’ve heard made by Keepers of the Blue Ridge. As for the portion that Rick refers to, I’ll note that the energy demand projections are outdated and were based on the assumptions and laws in effect at the time (i.e., they assume no climate legislation, renewable portfolio standard, smart grid and efficiency programs in the stimulus package, etc…). If the numbers Rick Webb loves to cite were true, the planet would be cooked. The reality is…Big Coal will not stop the process you desire. Big Wind is not the answer. GET REAL, study the facts. The reality is BIG WIND will not replace a coal fired plant. The reality is wind generation is not reliable or predictable. Remove the Federal grants, remove low tax incentives, make BIG WIND accountable and all this will disappear. Even if you could mitigate the viewshed and not make wildlife an issue, Wind is not modern eneregy. BIG WIND IS A HOAX…filled with lots of money to build a public relations myth. As a coauthor, I too recommend reading the 2007 NRC report. Matt seems to have read something else. In particular, see Chapter 2, which addresses the lmited benefits of onshore wind development. You are to be truly commended for your worthwhile efforts against environmental tragedies like mountaintop removal coal mining. 2 – would simply be exchanging one environmental abuse for another. 2 -get aggressively behind nuclear power and geothermal energy, as both of those would SIGNIFICANTLY reduce our coal use. Wasson’s Huffpost piece notes the following from 2007 Energinet report: “CO2 emissions vary considerably from year to year, depending on electricity trading. Adjusting for imports and exports resulted in an overall emissions reduction of 23% in the 1990-2007 period. The primary reason is a conversion of Danish electricity and heat generation to less CO2 intensive fuels such as natural gas, coupled with increased use of renewable energy sources”. This is obvious from comparing any graph of energy sources and CO2 emissions: As Denmark converted to natural gas, emissions went down. But looking at wind energy only, no such correlation is seen. One does not have to be an expert in the energy field to realize what is occuring. One only needs to be a critical thinker over accepting the facts and information that Big Wind offers. Big Industrial Wind represents selling Snake Oil, using smoke and mirrors. Watch the show long enough and eventually you will buy a bottle to try out. The problem is this wind medicine show is not a cure. The main reason why Big Industrial Wind projects are proposed is it BIG MONEY. Big Returns on investment. Remove the Federal grants, remove low state tax incentives, make BIG WIND accountable and Big Wind Medicine Show will disappear. What Europe wind manufacturing industry is promoting is not energy production, but selling an industry that increases their national capital. American’s are buying this idea of free green energy, because we want to believe this fairy tale. Don’t confuse rural land preservation with energy production. Even if you could mitigate the viewshed, wildlife issues and hide each turbine, Industrial Wind is not modern energy. The reality is BIG WIND will not replace a coal fired plant because it is not reliable or predictable. Are you and others willing to depend on ‘wind power’ to cool or heat your house at constant temperature.? Wind cannot meet the simple requirements of modern society, such as have a reliable and predictable energy source just to power a gasoline pump. At its best Big Industrial Wind represents only 30% efficiency. BIG WIND IS A HOAX that is filled with lots of money to build a public relations myth. You should be thankful to individuals and groups that are willing to be critical thinkers. Be thankful to individuals and groups that are willing to stand against Big Industrial Wind..and its dumb ideas. I appreciate that this article presented balanced information from both sides of the issue. Other news sources should follow Mountain Xpress’s excellent example. Matt Wasson says that he and Appalachian Voices are concerned about possible encroachment of the AT and the BRP, etc. So why was Appalachian Voices at the wind forums in Asheville and Spruce Pine last fall in support of the proposed Spruce Pine project? This project would be visible from Roan Mt, Mount Mitchell and Grandfather Mountain. This project would be only 4 miles from the AT and 5 miles from the BRP. Is it because, like ASU, Appalachian Voices has received funding from Acciona Wind Energy USA, LLC, the developer interested in the Spruce Pine site? At that forum, ASU’s Dennis Scanlin was personally invited to participate in a debate by Jon Boone. Since then Austin Hall was invited to “continue the conversation” with an expert in the field of energy. And now Matt Wasson and Appalachian Voices have been offered the same opportunity. Will they accept this offer to prove that their arguments are based “on very well researched information”? Or will they continue to hide behind attacking individuals and groups with the baseless cry of “right-wing think tanks”? Matt, it does not require a dissertation for you to post the definitive proof that any coal plant, anywhere in the world, has been closed DUE TO WIND ENERGY. Please, please show us the evidence! I find it laughable that Matt Wasson tries to humor us with some southern slang while at the same time saying that Keepers of the Blue Ridge is not professional? Matt Wasson tells us not to believe Tonya Bottomley, a working professional, with her years of experience and research in fighting the wind industry, but has no problem with statements by Austin Hall, a documented horse wrangler, and Avram Friedman, a plumber? In my review of the Keepers web page I find no links to right wing think tanks. I find no documentation. Let us point out your connections and the connections of Appalachian Voices to the extreme left. You have received funding from the Tides Foundation, and the Appalachian Community Fund (which has received funds from the Tides foundation). Has the Appalachian Community Fund been called “The ACORN of West Virginia…?” You have received funds from another far left group, the Rockefeller Family Foundation. At various Virginia wind meetings, Appalachian Voices has been noted to be very cozy with BP. What funding have you received from BP? As far as attacking groups and individuals, you were recently pointed out for your attack on the Nature Conservancy and again, just as anti-wind groups have, you were asked to argue with facts instead of “name calling and rhetoric.” You have no intention of using facts with anyone, and the attacks and rhetoric are also SOP for Matt Wasson and Appalachian Voices. There are no facts or science that support wind energy, and that is why you resort to name calling and rhetoric. Placing wind turbines in the Appalachian Mountains where they might (rarely) achieve a capacity factor of 25% and will always have a capacity value of 0, is a wasted step. This useless step is wasting billions in tax payer funds. Fossil fueled conventional plants, coal, nuclear, or natural gas, will have to provide the missing 75% and 100% when there is no wind. You have to back it up with plants with capacity factors of 60 to 90%. You can fight for all the commercial or community turbines (that are usually commercial sized and can be multiple in number) that you want, but the end result is that you will be adding more coal, nuclear, natural gas, etc. You are promoting what you are against! To ask the American citizen to pay for energy with no real power is absurd, and they will pay, and pay and pay. Mr. Wasson, are you not the pot calling the kettle black? The way I see it Big Wind Does not have the expertise to even forcast the cost of a wind project. And you want to trust Big Wind to care for North Carolina historical and cultural landscape. The highly touted Cape Wind project is already stoking fears of an open-ended ratepayer burden and lack of accountability reminiscent of the state’s Big Dig nightmare. As the Herald reported yesterday, the Cape Wind project, which started out as a $650 million offshore wind farm, has ballooned to more than $2 billion in construction costs and a potential $6 billion hit to ratepayers when debt service, profits, maintenance and other costs are included. The $6 billion cost to electricity customers doesn’t include an estimated $600 million in taxpayer subsidies that Cape Wind developers could reap from federal tax credits to cover a portion of the final construction price. The staggering figures, calculated by the Herald and confirmed by numerous industry sources, are sparking concerns that Cape Wind is already mirroring the Big Dig tunnel project that started out costing $2.8 billion and ended up decades later at more than $20 billion. And like the Big Dig, there appears to be no direct line of accountability for the project’s expenses. It remains unclear which government agency will specifically monitor the wind farm project’s construction for cost controls and contractor performance in view of the public subsidies it will receive. Patrick and Bowles have aggressively pushed Cape Wind publicly and privately over the past four years. Bowles, who has lobbied hard for new state laws that helped clear the way for Cape Wind and other renewable-energy projects, countered that constant delays caused by critics have prevented Cape Wind from getting started. He said the average homeowner will pay only $1.59 per month extra in the first year to pay for Cape Wind, though some experts dispute that figure and say it will be much higher. Business groups say the cost of Cape Wind to companies could run into thousands of dollars per month. Part of the problem is that Cape Wind Associates, the private developer of the 130-turbine wind farm off the coast of Cape Cod, has flatly refused to provide the final construction cost for the project, citing competitive talks now under way with contractors. Not even Patrick and U.S. Interior Secretary Ken Salazar, who recently OK’d the project, know the true cost of Cape Wind, referring questions to the developer. But last week the veil over the project’s finances began to fall off when Cape Wind and National Grid said they had reached a long-term renewable power contract, as required by state mandates. The pact, which must be reviewed by the Department of Public Utilities, calls for the giant utility to pay 20.7 cents per kilowatt hour for Cape Wind’s power, starting in 2013, with 3.5 percent annual cost adjustments over the next 14 years. The kilowatt rate is about double the current cost of fossil-fuel generated electricity and land-based wind farms. On Monday, National Grid said in a DPU filing that the first year’s payment to Cape Wind would be about $157.4 million, or $66.6 million above the current market value of electricity. Cape Wind spokesman Mark Rodgers conceded construction prices have risen since the project was first proposed early last decade, thanks to inflation and a rise in commodity prices. “We believe Cape Wind will be competitive over the long haul,” said Rodgers, estimating that the prices of fossil fuels will rise in coming years, making Cape Wind a bargain. But Mary Connaughton, a former Massachusetts Turnpike Authority board member who often criticized the Big Dig project, said she’s not buying the excuses. Shepards Flat (to be built in Arlington, Oregon) is one example of a wind farm that will displace the need for coal generated electricity. 235,000 households that won’t be keeping companies like Massey Energy (responsible for the Upper Big Branch disaster) in business. In addition, the farm is expected to generate a lot of jobs. 400 on site construction jobs, 35 permanent operating jobs, and an additional undisclosed amount necessary for assembling the turbines. So much commentary here it is hard to know where to begin. First of all, thanks to Eric who wrote an excellent article about a complex and contentious issue. Appalachian Voices got involved in wind policy in North Carolina because we are facing the most extreme anti- wind energy legislation in the country. If passed by the General Assembly, this bill will serve as a ban on commercial and community scale wind energy development in the mountainous region of the state. I, for one, am not prepared to turn a blind eye to our neighboring states that are losing mountains, clean water and healthy communities for my electricity. Appalachian Voices is proud of our position supporting responsibly developed wind energy and is committed to working with a diverse group of interests to ensure a ban does not pass. SB 1068 in it’s original form would have taken a common sense COUNTY by COUNTY (the bill differs to County ordinances regarding wind turbines, and provides a blanket process for developers to follow ONLY if the county has an ordinance that allows commercial and community wind) approach to a permitting process for WNC. “Drive by” blog post. This is quite ridiculous, I posted a civil response to an article on your blog and you compare it to an illicit violent act. I tend to think of my post as an opportunity to share an opinion, unfortunately I do not have the time to camp out on a blog commenting on every nuance included on said blog. It is astounding to me that you would oppose wind energy a proven technology with no waste, minimal environmental impact, zero fuel costs and no co2 emissions. Yet you promote Nuclear? Nuclear Energy is a prohibitively expensive, MASSIVELY federally funded, potentially catastrophic energy source. Nukes devour water at an astounding rate, rely on destructive mining practices and leave us with a toxic legacy of radioactive waste. Very Interesting. We have received zero funding from BP, but we actively supported the proposed wind farm in Tazewell County. Also, I enjoyed the horse wrangler line. It was one of the best summers of my life. Thanks for bringing me back to that special time and I applaud your crack investigative work. As for the repeated invitations for a “debate”, I am not ruling it out, but at this point seems like a complete waste of everyone’s time. In the future possibly after North Carolina’s fist wind farm is complete we can debate the pros and cons of wind, but until then I will not engage in a formal a debate. All energy sources are federally funded. (http://theenergycollective.com/TheEnergyCollective/60501) Wind is deserving of those subsidies, which I hope will increase or at least continue at current levels. We must transition to a clean energy future, if we want to preserve our planet. Wind will be an integral piece of the clean energy solution. Also, are there ulterior motives here? It looks almost like there is a template for attacking Dr. Wasson, and many of these comments seem less focused on debating the merits of wind energy than they are on smearing his name through the mud. To Jed: “will make a significant impact on power supply” might have been a fair statement of expectation 20 years ago, but tens of thousands of megawatts of wind have not in fact made such an impact. So today, it can only be called cheeky bluster. Check back in a few years, and see how much less coal is being burned. Or save the environment and check the record of wind that already exists. No wind advocate has ever been able to point to any meaningful benefit. The only documented benefit is greenwashing for politicians and the likes of BP, along with attractive tax avoidance. I appreciate your attempts to sound reasonable, but your comments pertaining to me are simpy over the top. 1 – It is NOT a proven technology when it comes to industrial wind energy. 4 – Yes fuel cost is zero, but so what? 5 – There are substantial CO2 emissions in the construction of wind projects. 6 – All of this is irrelevant as wind energy is VERY expensive (much moreso than nuclear, according to the government, not me) and has miniscule benefits. 7 – Wind is funded over ten times as much as nuclear is, so if nuclear is massive, what does that make wind? 8 – Nuclear uses water as cooling, so there is no “devouring” as it is all returned to the source it started from. 9 – Nuclear waste is a concern, but scientists have come up with very reasonable solutions to this issue. (To Jed as well,) the bottom line is that everything you read in that CNET blurb is projections by lobbysts that are promoting their product. Might it occur to you to ask for PROOF? For instance the Oregon project will not supply enough electricity for a single house, 24/7 — yet you blithly accept 235,000. That’s how con games work: they prey upon the gullible by making claims that SOUND good. Since you don’t like my term for your discussion style, perhaps you can select a descriptive phrase more to your liking. I fully expected you would challenge my counter with a return volley (as in badminton) of facts so the opportunity to learn from each side would become available. Perhaps, as you suggest, after the windmills tower over the mountains, you’ll find time to speak to their worth. I certainly meant no offense to Mr. Wassen. I remain however unimpressed with his presentations of AWEA boilerplate and was surprised that he chose to attack individuals rather than arguments. I suppose he feels similarly about the facts we offer, which are counter to the pro-wind groups. One would think this could lead to healthy debate on the issues. It doesn’t appear that Mr. Hall cares to engage, so my only suggestion was that Mr. Wasson consider the effort. Finally Mr. Jed, I too quoted from the wind industry’s projections to validate the bounty to be received from wind energy. A year ago I was a proponent until I couldn’t find, in any resource, empirical evidence that wind energy had actually replaced any fossil fueled plant … anywhere. In no way do I mean to disrespect you, but your use of the Shepherds Flat wind farm in Oregon is constructed on “will”, “predicted” and “expected,” all of which are future based. You would think, by now, the AWEA would have compiled a list of coal facilities closed due to wind installations, somewhere in the world, to take this discussion off the table. Wouldn’t that be an excellent tool? Lacking that however, I still have no evidence to suggest that placing wind turbines anywhere in the world adds value. Perhaps if someone could convince me that industrial wind has met (not – will meet) the goals claimed, I could be persuaded to move back to your side. I am a strong advocate for the elimination of mountain top removal and strip mining. My home state of West Virginia has been held hostage for decades. But simply handing the keys to another destructive jailer, especially in light of its poor performance, is not progress. It would be very easy to join the wind proponents. Being on this side subjects one to heavily funded ridicule. It is also a lot easier to tell someone you have the facts on your side and never be required to present or substantiate them. I’m happy to listen and I thank you all for doing so. There is no reason to debate the merits of Big Industrial Wind! It is a HOAX. Transition to a clean energy future…if we want to preserve our planet? Big industrial wind will not be the solution. Wind will never supply the energy needs United States needs. Preserve our planet? Does that mean you will be standing in the parking lot asking customers not to purchase products made in China? Holding back on a debate until after the first Big Wind Project is built is an inadequate reason. You are welcome to visit West Virginia and debate the merits of Big Wind. Mr. Jed and Mr. Austin write to the AWEA . Invite AWEA to join this comment section. That won’t because they don’t care qne. What AWEA will pour money into public relations campaigns to have you join and believe. Remove the Federal grants, the low interest state tax incentives, ask for accountability and these Big Wind Projects will disappear. Pardon the pun…but Big Wind projects will be dust in the wind. North Carolina mountains and seashore are valuable state resources. They deserve protection. These areas of cultural, historical and ecological landscapes that shape your state future. Placing industrial turbines on ridges lines will not change the outcome of coal mining in West Virginia. Big Wind is playing on your values. 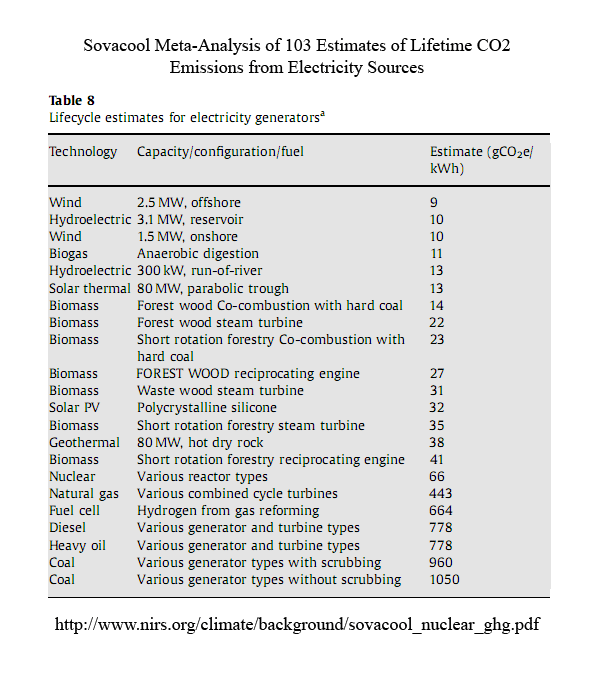 Big Industrial Wind is not modern energy, it not predictiable or reliable. Austin Hall mentions that Appalachian Voices has not received funding from BP but he did not address whether the group has received money from Acciona Wind Energy USA, LLC like ASU professors have. Can we even trust what is disclosed on a blog? What will Appalachian Voices’ tax records reveal? Does the fact that Acciona signed Appalachian Voices’ Wind Energy Statement lead to any credibility in what these individual say? Again, I ask for the definitive proof that any coal plant, anywhere in the world, has ALREADY been closed DUE TO WIND ENERGY. Please, please show us the evidence. Post it here. Ok, against my better judgment, I’m chiming in one more time. First, I just wanted to make clear why, in general, you won’t find me interested in debating the people on this thread. I already posted a link that provided definitive evidence of wind power displacing coal in Denmark, with a quote straight from their biggest power provider, Energinet.dk. And to what effect? It’s like it was never posted. Nobody ever mentioned why they believe this to be wrong (and please don’t quote me anything from the “Case of Denmark” which has been thoroughly debunked time and again, and yes, it was funded by a right-wing think tank). Finally, it would be best to stop impugning each others motives – there are actually very legitimate reasons to be on both sides of this issue. I don’t think it’s helpful for AU Engineer to be repeating false claims from the ultra-right American Spectator that Appalachian Voices is somehow connected to ACORN (not that I’d be ashamed if we were). And I’ll trust that Rick Webb’s scientific opinions were not influenced by the Highland Wind Project proposed near his home and that John Droz’s opinions come from his background in physics and not his current interests in real estate. Let’s stick to the facts, folks. And one can only laugh at your impugning of others’ motives, even to the extent of calling your critics “haters”, while pleading that it should stop. But since you feel that there are legitimate reasons to be on both sides of this issue, it would be interesting to hear what you consider to be legitimate criticism of industrial-scale wind or of its encroachment into otherwise protected areas. Hey, Matt: Frida Payle replied to your Energinet.dk claims. The future of energy sources in North Carolina and across the nation is a topic of utmost importance. While the use of wind turbines has pros and cons, it is important to consider the alternatives and the pros and cons of these alternate energy sources as well. This begs the question, is it possible to create legislation that helps us begin to move away from the destructive results involved with coal mining, especially those that result from mountain removal, and yet still allows us to maintain the natural beauty of the mountains. The key is finding balance and beginning to shift towards integrating more and more renewable sources of energy. Oops – my bad. Though I’m wondering where Frida Payle’s information comes from. Natural gas conversion doesn’t come even close to explaining Denmark’s reduced CO2 emissions – unless you buy the bogus premise in “The Case of Denmark” and Robert Bryce’s piece that electricity exchanged with Germany essentially disappears from the grid. That premise has been thoroughly debunked and, of course, violates common sense as well. As for whether Denmark’s CO2 emissions will be reduced through 2017, I addressed that thoroughly in my Huffington Post piece. I suggest you re-read that section if you have any questions about it. So sad that there is such fighting over wind and such other great sources of clean energy. It does works, and works extremely well, in truly developed countries like Holland and Germany. Why the boondoggle to prevent it from happening here is beyond reason. Perhaps we (the US) wishes to continue to be the backward country we have become, instead of truly being the ‘leader of the free world’ imagined by those who have yet to awake from their stupor. Rick, I’ve read your diatribe regarding your key talking points on wind energy. It’s factually incorrect and over the long run is only going to cause more harm than good. For one, the number of birds killed by windmills compared to automobiles is incredibly small. If you really care about those birds why don’t you advocate against driving HMM? What about cats? Or the electrical transmission lines that carry power to your house? Granted, that’s with subsidies, but it’s proof that wind energy will be able to compete with coal without subsidies very soon. So just knock it off! The windmill in boone is beautiful, like a pinwheel twirling in the breeze. Wind is a gift from God! It’s all natural, it doesnt have to be extracted, it doesn’t have to be pulled out of the ground by workers who suffer health risksm, who DIE FOR YOUR ENERGY. Die for you to take a shower, to sit slothfully in front of your television for hours, and to babble insidiously on the internet! I want to keep OUR mountains and I want West Viginians to enjoy the beauty of theirs too. And if I have to see a few sporadic pinwheels on the horizon so that we can, than by God I WILL! Wasson’s game plan is so predictable, although it took longer than usual to resort to the NIMBY approach. This is standard for AV – name calling is an obvious attempt to shut down the fundamental democratic process of debate. I have no idea if Wasson’s assertion that Mr. Webb’s home is located near a proposed power plant is true or not. But if it is – SO WHAT? Anyone whose home or property is threatened by the sprawl of industrial development has a right to be concerned. It’s no secret that property values decline when an industrial wind facility moves in. Of course, Wasson expects the public to abandon common sense and hopes we will buy into the wind industry funded studies that indicate otherwise. The fact is – property values will decline by as much as 30-40% if located near or in sight of an industrial (wind) power plant. Wind peddlers also play down problems with noise, shadow flicker, and eminent domain. Wasson has proven that there are no “Facts” to support wind as an energy source. If there were, he would debate the issue. He refuses to do so, which sends a clear message. “Summary of Wind Turbine Accident Data to 31 December 2008” reports 41 worker fatalities. Wind vs. Nuclear Power: Which Is Safer? Matt: Not only does burning natural gas release half the amount of carbon as oil or coal, Denmark also built major combined heat and power plants, essentially doubling the energy gained. In other words, switching from oil to natural gas for both electricity and heat meant one-fourth the carbon emissions for those uses. In contrast, the addition of (crucially, not switch to) wind has not brought any decrease in carbon emissions. In his most recent book, Power Hungry: The Myths of “Green” Energy and the Real Fuels of the Future, Robert Bryce tells us to get over it. A senior fellow at the Manhattan Institute, Bryce deploys his calculator to question the numerical logic of wind power. While advocates of renewables will surely take issue with the buttons he’s pressed (they already have [link to Wasson’s article]), Bryce—whose book is a sustained attack on our irrational infatuation with wind and solar power—dedicates an instructive chapter to Denmark’s status as the world’s leading light on wind energy. The point most lauded by pro-wind pundits (Bryce picks on The Atlantic’s Joshua Green and the Times’s Tom Friedman) is that Denmark’s famous transition to wind—it now accounts for 13.4 percent of all the electricity generated in the country (not 20 percent)—has helped the country stop importing oil. The general implication behind this impressive statistic is that Denmark, by harnessing wind, has taken a profoundly significant step toward reaching the same Holy Grail that we’re told over and over again must be sought here at home: energy independence. Hey Justin, How are you doing? I met you at UNC-A when I was visiting my neice a couple of years ago. Are you in school there? Birds killed comes from the American Bird Conservancy, so you might want to take up the numbers with them. I think their numbers are low. You mention a key word…subsidies, but not the actual figures. WInd is subsidized at $18.32 per mwh and coal at $0.12 cents per mwh. Justin I think you are old enough to understand that the subsidies are UNSUSTAINABLE and wind will never exist without the subsidies. Let’s see if we placed 186,000 wind turbines a long the Appalachian Trail, it would cost the American tax payer over 170 billion dollars. Your grandchildren will be paying for this in the taxes and electric rates they will pay as well as you and I. But even worse, once the electric rates go up and up, and businesses are taxed and taxed, watch as businesses leave the USA, to seek places to set up business where the electricity is cheaper, and there are less taxes Justin. Again, there is nothing that supports wind power as an energy source. The science is not there. It has been proven in other countries that it does not work. Look at Spain with a jobless rate of 20% Justin, and they will tell you it is due to renewable energy/bad decisions. The United States does not need to go down this path. The wind turbine at ASU is tiny, only 1/4th the size of what they want to put on our mountains. You do understand it is only 100kw turbine, right and that it is not hooked to the grid? You may support that turbine, but did you know that 3 of 4 ASU students want the turbine taken down? Wind may be a gift from God and the wind is free, but WIND ENERGY is anything but free, Justin. The American citizen will not be forced to purchase an energy with a capacity value of 0. The elections in November will be the beginning of the end of this nonsense. No Justin, we will not be knocking it off. We will continue to educate the people about the lack of science involved in wind power. This is about special interest groups trying to force Americans to bow to their desires, Justin. Science should rule our energy choices, not special interest groups, like Appalachian Voices. When you are older, you will understand the politics behind wind power. So essentially, yes, they are importing coal, yes they do use oil, but they have kept their energy demand flat. Wind is part of a multipronged solution, and we have a lot of wind right here. Wind will create jobs, raise our economy, maintain these beautiful mountains that we all enjoy, and keep West Virginians from having their beautiful mountains destroyed. So throughout it’s history, wind has 41? Coal far surpassed 41 deaths within the first 4 months of this year? Hmm. We were put here to be Earth’s protectors, to be good stewards. How is strip mining a mountain considered maintaining the land I wonder? Rather than caring about your land values, (which, btw once people like you get over yourselves we won’t have people devalueing land based on windmills) think about those who are making sacrifices so that you can maintain your unsustainable way of life. I wonder which side Jesus would have been on? Hmm. Hi AU Engineer, no, sadly I don’t think we’ve met although it would be nice to meet you. I’m glad that your neice decided to further her education. I was raised on Beech Mtn, beautiful spot. I remember spending many days climbing atop the ski mountain in the summer overlooking the majestic valleys. A fully encompassing panororamic view and truly a state treasure. Fun fact: Did you know that we have a small windmill there? I remember watching it go up and being so proud that our little township had decided to use the resources that we have available to us. I’m also glad that most days, the sky has a nice tinge of blue haze adorned over our Blue Ridge and visibility is nearly clear. Though, the Ohio valley smog does roll in from time to time and limit the view. I did hear, however, that back in the 70’s you used to be able to see Charlotte from Grandfather on most days. I find it a treasure on those rare occassions where that still becomes possible. We need to prepare ourselves ahead of time for the transition from fossil fuels, lest we will find that our energy prices will continue to skyrocket, and become a burden on our economy. As wind becomes more mainstream, subsidies will decrease until it will no longer need them. Similarly, power generation may become more decentralized, unless we scale up new technologies that are being developed. And even if these new technologies work, I think alot of people will be glad that we were prepared in case they hadn’t. my apologies for the sensational title, but you know, it is kind of a sensational topic. NREL has provided us with the data, I suggest you continue reading if you’d like to be educated on the matter. And as for the “when you are older” quip, I’m personally appreciative that our education system has informed me of the the difficult decisions that need to be made reagarding energy policy and our future. I’m glad that by the time I reach your age, my colleagues and I will be in the majority. And if I am fortunate to live to your wise old age and decide to reamin in these mountains, I hope we made the right decisions when we needed to so that we are not breathing in noticible amounts of coal dust. I have more and will post if the site will allow me. Curious, Justin, how the items you link to only reinforce your opinion. The original challenge to show any reduction of fossil fuel burning or emissions due to wind on the grid is still unanswered, however. You mention that Denmark’s significance is that they have kept demand flat. And I noted that they reduced carbon emissions by switching from oil to natural gas–fired combined heat and power. Despite that evidence that only conservation and efficiency make a difference, still you raise the specter of coal as justifying the addition of wind. By (justifiably) decrying mountaintop removal or unsafe mining, you advocate another industrial assault on the mountains that does not reduce the first. It’s like taking up smoking because you drink too much. And now you’re a smoker as well as a drinker. I disagree with your pick up smoking because you have a drinking problem analogy. But I do agree with you that we need to conserve. Wind energy is more like the Wellbutrin you would take to give up smoking. The price, at first, is high because it’s new. But, it’s effective, cores the cravings, and it works to ween you off the bad stuff. And over time you realize that you’ve saved more money over time by taking it than you would have if you had kept smoking. Wind has high upfront costs, but maintenance is cheaper than on coal plants, there are few moving parts, simple, and use something that literally comes out of thin air! People used it way before we used coal, gas, or oil. (Early wind powered sailboats). We’ve made great strides since then. We’re not talking about the 2MW Mod-1 that was on Howard’s knob. Nowadays these things work efficiently and quietly, turn slowly and don’t have the same repercussions of those that were built in the 80’s and 90’s. If you haven’t made the trek up to Boone, I highly suggest you take a look at the windmill here. It’s nestled in between other mountains so it’s not visible from some locations. I work 3 miles away from it and have to squint to see it. Further out, it blends in with the environment and is not detectable without binoculars. I know, this is 1/4 the size of those larger ones, and therefore is less efficient than the bigger ones, but it does power 10 to 15 homes and it turns beautifully most of the time. Here are larger versions in the distance, turning in the wind. How are these any worse than cell towers? Watching them twirling around is actually quite relaxing. And it’s not like theyre going to put them on the parkway. We should preserve our national treasures as much as we can from development. If they were painted to blend in with the sky, and nearly invisible, would that be sufficient enough to not obstruct the view from your back deck? As long as you can not show that wind is in fact effective at reducing the use of other sources, the analogy of taking up smoking because of a drinking problem still stands. Frida, the analogy doesn’t make sense. Our population will continue to grow, with that, energy demand will continue to rise. I have a great(long) video on this if you’re interested. And I agree with you, conservation measures should continue to be promoted. Please educate yourself with the links I’ve provided, a number of them provide information why wind is viable, cheaper over the long run, and useable today. Fact: The simple fact is that power plants in the UK are being shut down, either through European legislation on emissions or sheer old age. We need to act now to find replacement power sources: wind is an abundant resource, indigenous to the UK and therefore has a vital role to play in the new energy portfolio. Additionally, I know many Amish and Mennonite that power their homes with wind power…reducing their need to have a natural gas powered generator. Looks like everybody else clammed up was it because I’ve presented you with the information you needed to realize wind power is a viable source? Wind power also doesn’t need batteries by the way. We can use pumped storage, that essentially produces a man made hydroelectric reservoir. It’s cleaner than using batteries with harsh chemicals and works just like any other hydro dam would. My primary motivator here is clean energy, I’m open to other solutions other than wind, but wind is a crucial resource that is in ample supply and should be included in the energy matrix. The energy matrix should be as diverse as possible to prevent shocks such as those experienced in the 1970’s. The burnable stuff will continue to get harder and harder to find. If we continue to diversify our energy matrix, we will negate the severe repercussions of limiting ourselves to cumbustable fuels: we will have cleaner air to breathe, fewer toxic landfills, our trade deficits and debt will stabilize, fewer tragedies such as what is happening now in the gulf will occur, and we’ll have fewer wars motivated by energy. Barring catastrophic events, energy policy will carry less risk towards threatening our overall quality of life. In closing, I’d like to point out that I do not know Matt and have only met Austin in passing at a few Appvoices presentations. I’m here on my own accord because I truly feel I was put on this Earth for this cause.And to educate the misinformed. I will be glad to fight for this cause anywhere on the internet or otherwise if you need me, so do not hesitate to ask. Justin, promotional material from the BWEA is not evidence. Wind has been around for quite some time now, yet the industry can not show a reduction of other fuels because of it. I’m all for clean energy, too. But wind appears to be a false solution (like taking up smoking because you drink to much). It’s a diversion. It does not contribute to solving our energy problems. P.S. I thought the Amish don’t use electricity at all. That must be why wind power works for them! Frida, there are different orders of Amish. Just as there are different levels of understanding with alternative energy. Good luck with trying to break your smoking habit. Where did you get those figures? (The latest I’ve seen from the EIA is 48% of electricity from coal [same as Denmark].) And what other factors are involved (such as increased use of natural gas)?